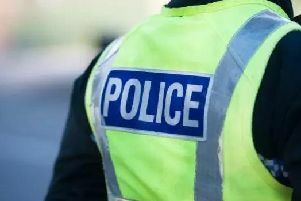 Detectives are continuing to make enquiries following the attempted murder of two officers in Knightswood on Sunday night and have thanked the public for their help and support. Forensic officers have also carried out a detailed examination of a burned-out blue Nissan Qashqai they believed was involved in the incident. They have confirmed the vehicle was stolen. PC Deborah Lawson, 30, and her colleague Robert Fitzsimmons, 31, both suffered serious injuries after the car reversed into them as they tried to speak to its occupants around 11.15pm. Detectives are also scrutinising CCTV footage for any additional information which could assist the ongoing investigation. Both officers are now recovering and PC Lawson - who it is understood was dragged under the car for a short distance - is now out of the Intensive Care Unit. Officers from the Greater Glasgow Division and throughout Police Scotland wish both officers a speedy recovery. A Police Scotland spokesperson said: “Members of the public are also thanked for their messages of support and good wishes for the officers, some of which have come from as far afield as the United States.